The Irish Heating and Air team has covered commercial HVAC repair and installation for as long as we’ve been in business. The truth is most HVAC companies aren’t equipped to handle 25 ton air conditioners. These types of units require specialized equipment and knowledge. We have the talent and the tools to handle all of your commercial HVAC repairs and needs in Tracy, CA. Our professional service techs have years of hands on training from the best in the business. We know exactly what it takes to fix a split zoned system and to repair dual boiler heating system. Why Call Us for your Commercial HVAC Repair & Installation Needs? 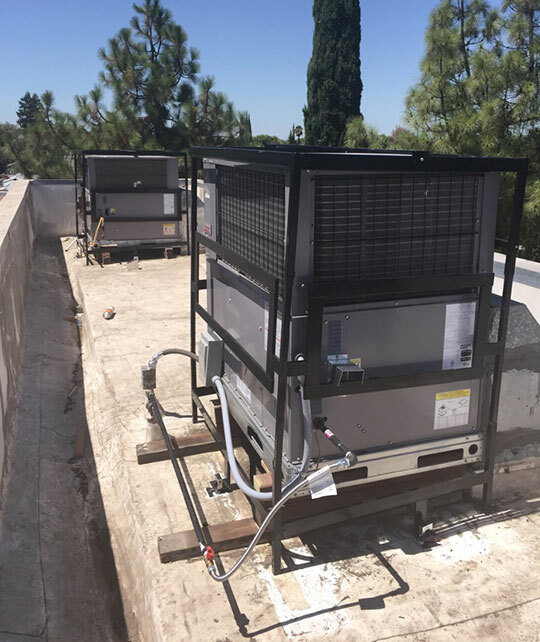 Our team is equipped to handle packaged commercial air conditioning repair in Tracy and beyond for systems using R-410a and blend refrigerants. We also handle retrofits on outdated and outmoded R-22 units. 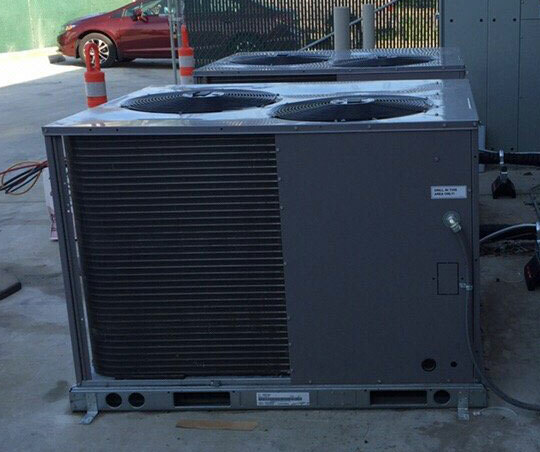 Our team is fully equipped to repair and maintain air cooled commercial hvac systems, water cooled units, self-contained indoor units, PTAC systems, ceiling units and vertical or rooftop HVAC units as well. 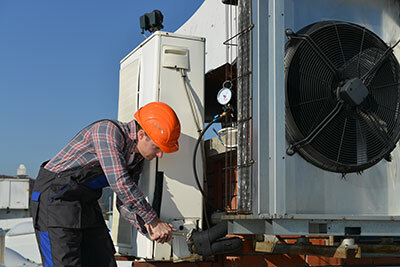 If you’re looking for a fully comprehensive commercial air conditioning repair company to service your packaged AC systems, your search is over. Our team is fully equipped to handle the repair of any direct expansion or ductless split system. That includes leak repairs, compressor repairs and replacements, full diagnostics, preventative maintenance and full code compliance inspections as well. Our team also schedules routine coil cleaning and repair and replacements. We only use OEM parts for replacement unless you specifically ask for a generic. Many of our commercial HVAC clients have found that preventative annual, bi-annual, and seasonal preventative maintenance plans offer enormous cost savings, prevent unexpected outages, and can greatly prolong the life of their equipment. Our preventative maintenance packages are custom tailored for your business’s specific needs and budgetary constraints to ensure a positive ROI and worthwhile investment. 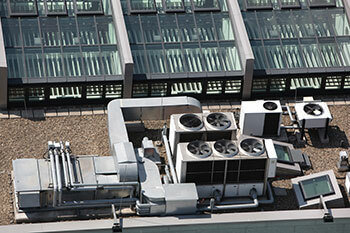 To learn more about our preventative maintenance packages for commercial HVAC systems, speak with a technician today. We also offer residential heating & air preventative maintenance. Our team of design and construction professionals assists owners and operators in developing accurate budgets and system performance expectations while providing a single point of accountability. By hiring us for your HVAC design/build needs, you’ll enjoy construction cost savings, a faster time to completion, and the need for less ongoing oversight in your project. Overall, design/build customers are significantly more satisfied with their installations, more than a year after the project’s completion. Whether you’re looking for commercial air conditioning repair, commercial HVAC installation, or just general maintenance on your commercial furnace unit, Irish Heating and Air is the right fit for you. Give us a call today to schedule an appointment and get you on the path to a new commercial HVAC installation.